Peer-to-peer fundraising is an opportunity to leverage your supporters’ personal networks to increase the reach of your campaign. When supporters reach out to their friends and family members, they’re building off of their established relationships. This strategy can be very profitable because donors are more likely to give when they know the person who’s doing the asking. Peer-to-peer fundraising is a great way to raise money and build your donor base, but the type of platform you use has a big impact on your campaign’s performance. In addition to platforms that can boost nonprofit fundraising, we’ve also included some bonus options for other projects and ventures. Let’s break down each platform! We’re a little biased, but we really do take a lot of pride in our platform! It’s built entirely with you and your participants in mind. Qgiv’s comprehensive peer-to-peer platform empowers nonprofit, faith-based, and political organizations to raise more with custom donation pages. Each peer-to-peer page can be customized to a nonprofit’s and a supporter’s needs. You can also set different pages for teams and even groups of teams! To keep individual fundraisers engaged and involved throughout the entire course of your fundraising campaign, we’ve created fun features to encourage active participation. Guided walkthroughs for personal page-building. All of these features are designed to keep your participants active throughout the entire course of the campaign and motivate them to push beyond their fundraising goals. Social media is vital to peer-to-peer fundraising. After all, your nonprofit benefits most when supporters share your campaign on their personal social media pages. Each of these elements can help your participants send a consistent message every time your they share your campaign! Giving your supporters templates will also help them get started with their fundraising if they need a boost or don’t know where to start. Qgiv’s platform offers a storefront feature that can track your inventory. It helps you raise more money and built enthusiasm by making it easy to sell t-shirts, water bottles, or any other kind of merchandise that can boost your fundraising revenue. You can build a basic storefront in just a few minutes! Items can also be offered for sale during the registration process. Including a store in your peer-to-peer fundraising event is a handy way to raise more money and give your participants and donors a way to show off their enthusiasm for your cause. Qgiv’s intuitive control panel allows you to keep track of your fundraising campaign in a centralized, convenient location. Track your progress toward your goals. Since a peer-to-peer campaign has so many moving parts, Qgiv’s event management system can keep everything organized and efficient. The easier it is to donate, the more likely someone is to give. That’s why Qgiv built a text fundraising feature for their peer-to-peer platform. Anyone can set up a text fundraising keyword. You can set one for the event, then encourage participants and teams to create their own. Giving participants a keyword they can share with friends and family helps raise more money! Sending a text can be faster than navigating to a fundraising page, especially if the donor isn’t in front of a computer. Keep donors engaged and excited with automated custom emails! Before your event, build encouraging emails targeted at different supporter segments. You can automate emails to participants who haven’t collected a donation yet, who have reached a certain milestone, and more. Being able to segment emails will help you effectively encourage your supporters. Qgiv’s platform is perfect for mid-sized or large nonprofits hosting a peer-to-peer event or campaign. Qgiv’s custom walkthroughs train supporters to create a unique, beautiful page that tells their personal story. This user-friendly service eliminates the need for knowledge of CSS or HTML. 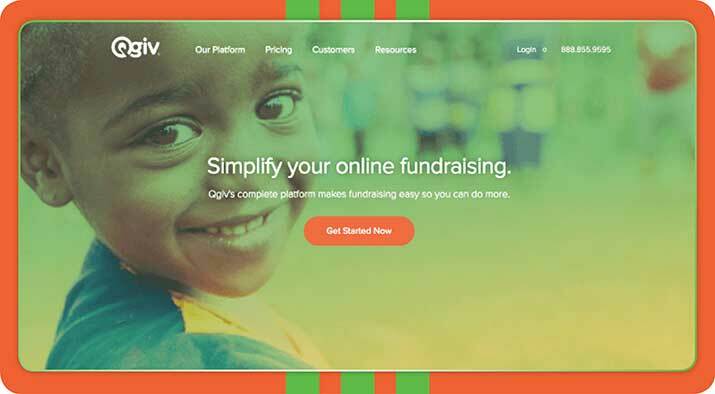 Additionally, Qgiv’s peer-to-peer pages can easily be branded to match a nonprofit’s look. How Much Does This Platform Cost? Qgiv’s peer-to-peer platform includes peer-to-peer events, the online storefront, and access to all their year-round fundraising tools. Access to everything costs $149 per month for plans billed on a quarterly basis. Donations incur transaction fees of 4.95% + $0.30 for peer-to-peer fundraising events. Standard donations are billed at 3.95%+$0.30. Salsa offers a unique peer-to-peer platform that helps your nonprofit capitalize on millennial giving as well as general donor giving. When nonprofits need to start an event, they can save time and boost their signups with Salsa! It’s easy to configure custom registration types, and registration levels can be set at different prices and available for sale in different time-frames. Salsa’s software lets your nonprofit to create early bird discounts, and you can arrange purchases to be configured for one certain registration level or all levels! If you’re hosting a fundraising event or if you’re interested in a more hands-on approach to help your fundraisers, Salsa is a great fundraising platform to get started. Salsa knows your peer-to-peer campaigns are only as successful as your fundraisers are, so they’ve developed intuitive coaching option for their software. With their coaching email templates, you can encourage your fundraisers and stay in touch. Plus, Salsa’s P2P Fundraising App will help your fundraisers fundraiser through email and social networks while they track their progress. Salsa’s smaller package, SalsaEngage, starts at $179 a month and includes all your peer-to-peer features. Double the Donation is not a peer-to-peer fundraising platform per se, but it is a tool to use side-by-side with your fundraiser to maximize your benefits. Double the Donation’s matching gift software helps organizations find the money they never even knew was available to them. The matching gifts database allows the user to search their company’s name to find the parameters for their corporate philanthropy program and whether or not that program involves gift matching and volunteer grants. This software can be used in conjunction with your peer-to-peer fundraising to increase the donation amounts given by your supporters. Double the Donation is a great platform to use in tandem with another peer-to-peer fundraising platform to maximize your fundraising efforts. Including a matching gifts database from Double the Donation in peer-to-peer fundraising efforts helps you get the most from your fundraiser. Double the Donation works with organizations everywhere to make fundraisers even more effective and help donors realize their full potential for these fundraisers. Double the Donation’s software has a basic plan with an annual fee of $299. Or, there more popular premium option is $499 per year. Learn more about Double the Donation! 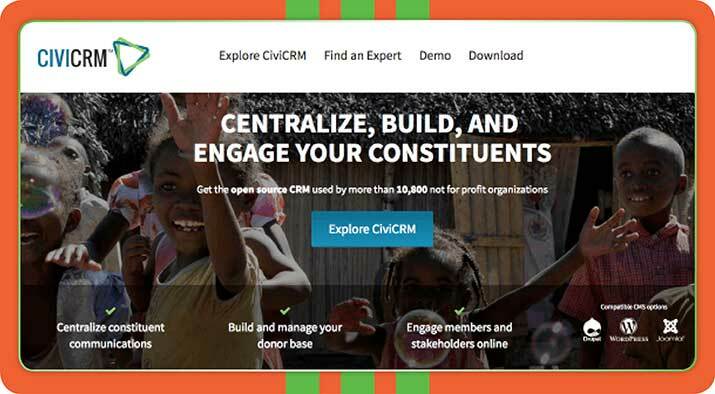 While its primary focus is donor management, CiviCRM does offer a peer-to-peer fundraising platform. 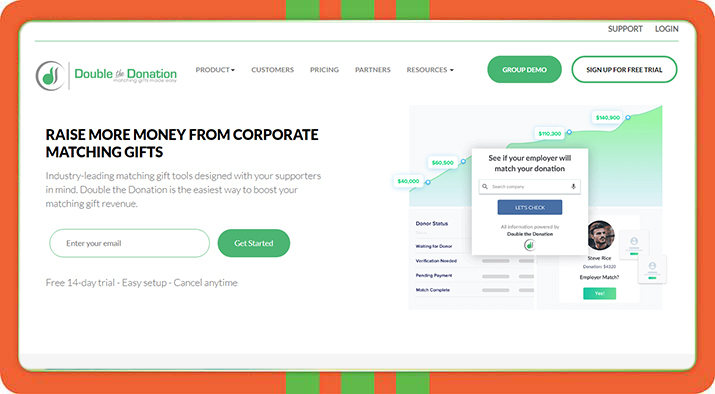 Their solution lets supporters to raise money for your organization independently of an established peer-to-peer fundraiser put on and managed by your staff. 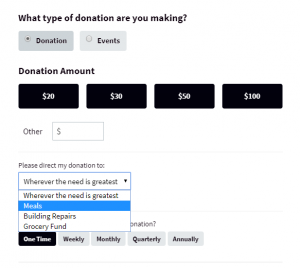 Donors can either create their own personal donation pages or use the simplified “Tell A Friend” system. With “Tell A Friend,” donors can share their personal donations to your nonprofit’s campaign with their social networks, encouraging their peers to donate as well. CiviCRM centralizes your individual fundraisers’ efforts with a fundraising thermometer to track their progress toward your overall goals. CiviCRM helps you track your donor data by creating a new profile with their services or by adding contributions to an existing contact. That way, your nonprofit can build an extended network of supporters and their peers. It’s really useful for instances where a donor wants to raise money for your organization outside of an established peer-to-peer event. Donors are also recognized in a scrolling “Honor Roll” to signify the importance of their contributions, which can incentivize more donations. CiviCRM is unique because it’s an open source platform, meaning that there are no ongoing fees or license costs. A one time fee of $400 will set up the software, and additional costs will be incurred for technical support on a monthly basis. Fundly is a crowdfunding platform that is popular with individuals who want to raise money. Fundly provides an Eventbrite integration so event registrants can quickly and easily raise money for your nonprofit’s cause. Individual fundraisers can also form fundraising teams to increase their social reach and impact. Additionally, Fundly offers a VIP package that comes with live onboarding webinars, goal-setting analysis, consulting support, and tailored marketing strategies. They also offer peer-to-peer fundraising capabilities for nonprofits. The Fundly platform is great for individuals to start campaigns about the charitable causes they care about with little or short notice. One recent example of this are the wildfires in Santa Rosa, California. The fires started without warning one night and put large portions of Napa, Sonoma, and Santa Rosa at risk. With Fundly, individuals who cared about helping California Fire Relief could donate directly to individuals impacted by the wildfires. Learn more about the California Wildfire Campaigns! Fundly is a good platform for individual fundraisers because payments are quickly processed and retrieved between 24-48 hours after the donation is made. Starting a Fundly campaign is free. Transactions are processed with a 4.9% platform fee as well as a 2.9% + $0.30 credit card processing fee per transaction. Are you looking for a different type of peer-to-peer fundraising platform? These platforms aren’t directed at nonprofits, but they have many advantages for anyone who’s interested in funding a specific project or business. WeFunder is an equity crowdfunding platform created to put the power of investment into the hands of ordinary people instead of millionaire CEOs. WeFunder primarily targets start-ups and small businesses. Anyone who gives to your campaign will be an “investor” — not just a donor, but someone who gains a stake in the future of your organization. Though investors can give as little as $100, they must first be accredited and submit an application through WeFunder. WeFunder is great for startups and small businesses of all sizes in all stages of development. That said, minimum goals can be set at $20,000. However, WeFunder recommends that campaign creators have at least one experienced investor or investment club to publicly back the venture. Working prototypes or other points of proof are also recommended to create the most effective campaigns. WeFunder charges a 4% fee of the total funds only if the campaign is successful. Kickstarter is a crowdfunding platform for creative projects. From art, to video games, to music, creative types can solicit donations for their projects, which are then shared with the Kickstarter community once they’re completed. Backers contribute an “investment” to an individual campaign. In return, the campaign creator offers some type of product, reward, experience, or acknowledgement to the donor. Kickstarter works on an “all or nothing” platform. Campaign creators only receive funding if they meet their goals. This dynamic can create a sense of fundraising urgency as supporters rally to help you achieve your goal! If you have a creative project that you want to bring to life, Kickstarter may be the place for you! You’ll need to be able to develop reward tiers to incentivize donations, so take into consideration what you can reasonably provide to donors. It’s also important that you think carefully about your fundraising goal; if you overestimate, you may not receive funding! Kickstarter only collects fees if your project is successfully funded. A 5% fee is deducted from a project’s fundraising total, as well as a 3-5% payment processing fee per donation. Kiva is a microlending platform where donors can loan funds to a borrower from anywhere in the world. Then, the borrower repays the loan over time. Ultimately, Kiva strives to use this lending model to eliminate poverty. This unique twist on a traditional peer-to-peer platform allows borrowers to create opportunities for themselves and their communities. Kiva’s sustainable model emphasizes the importance of partnerships; a borrower and a lender work together to create positive impact! Since Kiva selects the borrowers that appear on the website, this platform is directed toward lenders. Lenders who are interested in furthering a cause with a tangible impact on a real person should look into using Kiva. Kiva also advocates for corporate partnerships and lending groups. Lending starts at $25, though lenders can give more if they choose. Though Kiva does not guarantee that loans will be refunded, they boast a 97% repayment rate. 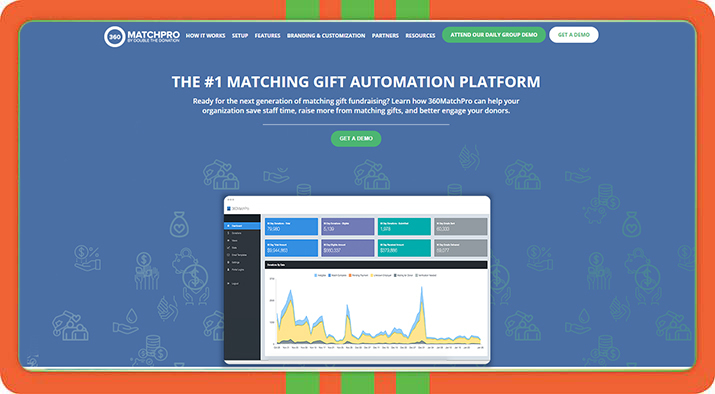 360MatchPro is a matching gift automation platform that works beside your peer-to-peer fundraiser to maximize your fundraising potential. With 360MatchPro’s software, not only can you market matching gifts on your peer-to-peer fundraising pages, but you can also reach out specifically to those who qualify! Once someone donates to your cause and their information is stored in your database, 360MatchPro can automatically determine if they’re using a corporate email address from a matching-gift eligible company. This way, this and future fundraisers will be that much more effective! 360MatchPro is a great platform for large nonprofits looking to expand on their existing matching gifts revenue. It makes a great addition to your peer-to-peer fundraising platform to exponentially increase your overall gift amounts through corporate giving. Contact 360MatchPro for a quote on this unique software. Top Online Donation Tools – Looking for a different kind of fundraising tool? Check out this curated list from Qgiv! 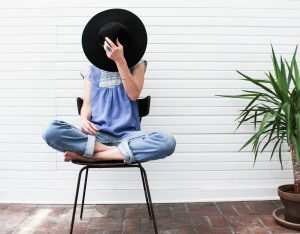 Ultimate Guide to Peer-to-Peer Fundraising – Are you ready to learn more about peer-to-peer fundraising and how it works? Check out this link to our ultimate guide. 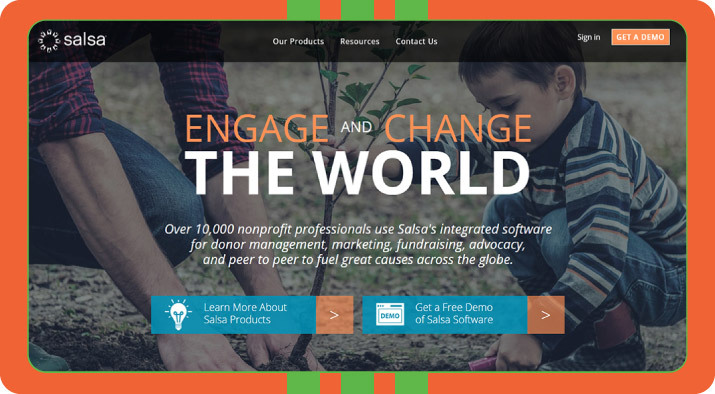 Salsa’s Nonprofit Software Buyer’s Guide – Thinking of investing in nonprofit software like peer-to-peer fundraising software? Check out Salsa’s buyer’s guide! Terrific Peer-to-Peer Fundraising Tips – OneCause has incredible tips to help you execute your peer-to-peer fundraiser. 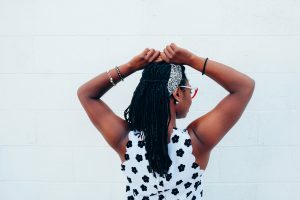 Read these tips to learn more! Qgiv’s peer-to-peer fundraising platform will help you engage your supporters and raise more money. Want to learn more? We’ll give you a tour! Just click on the button below.